For over 13 years thousands of independent musicians and songwriters have turned to the Indie Bible to help them get their music heard by the right people. One of the industry's top guides, it's filled with lists of music publications, radio stations, music distributors, labels and more. Indie Bible founder and editor David Wimble was kind enough to speak to us about the state of the music industry and the independent musician's best chances for survival. Plus he's giving away a free copy of his book! Read the interview and follow the instructions at the bottom of the post for your chance to win the latest edition of The Indie Bible. Who is the Indie Bible written for? The demographic for the Indie Bible is a recording artist that has just picked up their box of CDs from the CD Duplicator. After a few days, they've sold copies to their friends and relatives, but the initial excitement is starting to die down a bit. There is then that moment when an artist realizes that their CD is not in fact going to set the world on fire, and it's also not going to magically sprout legs and sell itself. There is a LOT of work ahead in order to generate any sales at all. That's where the Indie Bible comes in. It connects these artists to the people and services that can help them to gain more exposure for their music in order to generate sales. Can you tell us a little about your background and experience in the industry? I actually had no intention of ever publishing a music directory. My goal was to become a legitimate recording artist. I took the first step towards that in 1999 when my band, Big Meteor, recorded our one and only CD, "Wild River." During my work day, I would surf around trying to find places to send my CD to in order to gain some exposure. I found that there were many review websites as well as hundreds of college and community stations that were willing to play independent music. Online CD shops were also starting to pop up - places such as CD Baby and The Orchard. The whole time I searched for resources online, I kept my eye out for some sort of directory that could map out the useful music resources on the internet - some sort of guide that listed all the helpful music websites for independent artists. I never found one. If I had found one, there would have never been an Indie Bible. I was laid off from my high tech job, and decided to create the directory, instead of starting up another band. 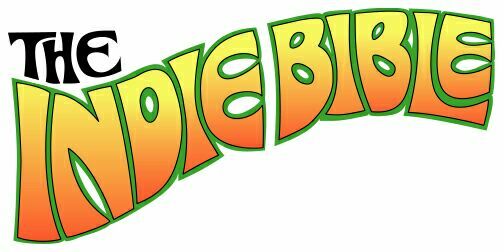 In 1999 I published the first edition of the Indie Bible. It was a photocopied spiral bound book, but it received really glowing reviews. People recognized that it was something that was needed and that it would save independent artists hours of research time. How about radio? Should independent artists still be trying to get their stuff played on the radio? There's an endless argument about whether or not college/internet radio airplay generates CD sales. The same question can be applied to getting your music reviewed. My belief is that any place that you can get more ears to hear your music, the better. You never know what it can lead to. The more opportunities that you create so that people can hear your music, the better chance you have of creating a circumstance that will help to move your career forward, and help you to the next stage. A good example is an artist I talked to at SXSW several years ago. He told me about a local coffeehouse that was playing his CD. A music director was having a coffee in the shop and asked the owner about the music that was playing over the sound system. The owner gave him the details and the director got in touch with the artist. The artist's music became a big part of the soundtrack for the director's current production. So get your music out there as much as you can...anywhere you can...because you NEVER know WHO is going to hear it. The so called ‘downfall’ of the music industry is getting a lot of press these days. Are the changes the industry is undergoing making things easier or more difficult for independent musicians? I think it's making it a lot easier, that's why there's so much of it out there. I think Reverb Nation alone has 200,000 or so bands on it. Independent music is steadily becoming "legitimate" music. Consumers are starting to understand that "independent" does not signify a second rate level of music that is put out by people that are not good enough to land record deals. There's a lot of amazing music being produced independently. As far as the consumer goes, the relationship with independent artists has never been better. As you mentioned, the major labels are crumbling and thanks to internet radio, podcasts and the large number of social networks and music download websites, independent music has never had so much exposure. Independent music has also found its way into films, commercials, video games etc. It elevates the status of a production these days if the director features great music in their film (or commercial) that no one in the mainstream has ever heard before. The door has really opened for independent artists. I think the most intimidating thing that independent artists face is the incredible amount of music being produced. It takes a real effort to get one's tunes noticed in the vast ocean of music that's out there. But with a lot of hard work and dedication, it is possible. Have you recorded a demo or album that you are trying to get out there? Leave a comment below telling us about it and telling us what you are doing to get your music heard by the right people. The most creative and innovative answer wins a copy of the Indie Bible!